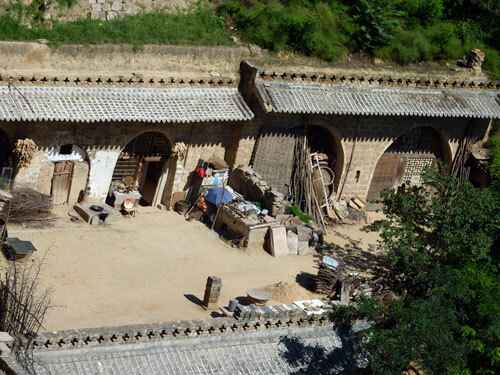 There are cave-dwellings, mostly abandoned, as well as more elaborate complexes, set around courtyards with cave-rooms at the back. Most buildings are dilapidated, though some have been partially restored. There is some new building work going on as well. Adam talks to an owner of one very rustic hotel who is going to build a new one. All his guests at the moment are young art students. In fact, the place is swarming with them, both in Lijiashan and Qikou. They are everywhere: sitting quietly and sketching or painting, or hiking along the roads with their sketch books under their arms. Pretty as it is – though smelly, due to primitive toilet facilities – an hour or so is more than enough to see the village. The ride back, almost vertical in places, is even scarier than the way there. 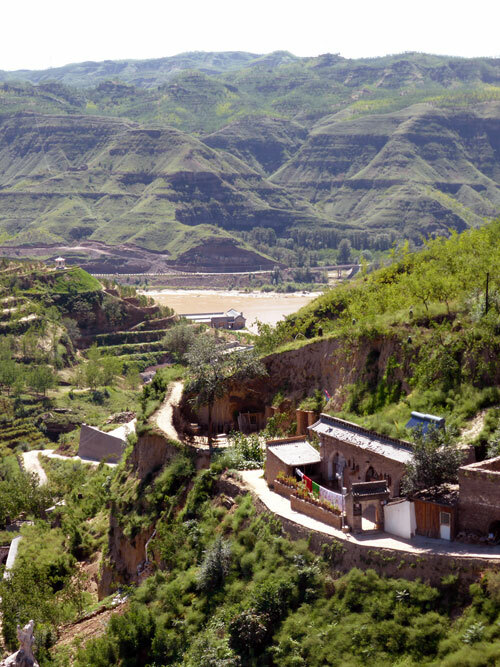 The Shanxi cave houses are fronted by large courtyards where farming implements, pots and pans and anything else for that matter is kept. 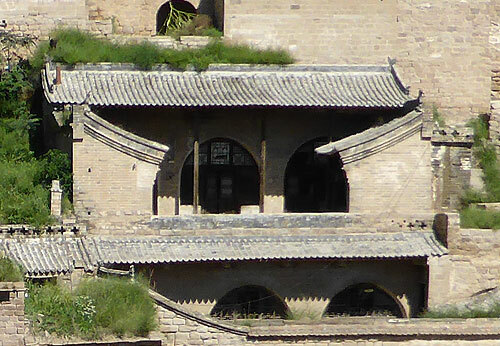 Towards the back there are arched doorways, covered in lattice work, which lead into the caves. There is one main door leading to a kitchen and other doors to (bed) rooms. 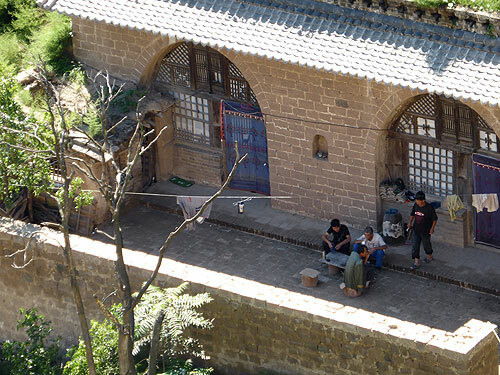 People sleep on kangs, heated sleeping platforms, which are usually by the window and are often used for both sleeping and cooking. One family would typically share the kang. The main advantage of living in a cave is that they are cool in summer and stay warm in winter. However, the caves can turn into death traps when an earthquake hits. 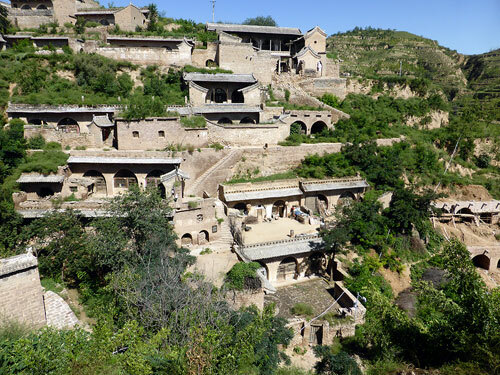 The 1556 earthquake which had its epicenter in neighbouring Shaanxi province 陕西省 killed hundreds of thousands of people (830.000 according to statistics, making it the world’s worst ever earthquake); mostly cave dwellers in Shanxi province 山西省 and Shaanxi Province 陕西省. 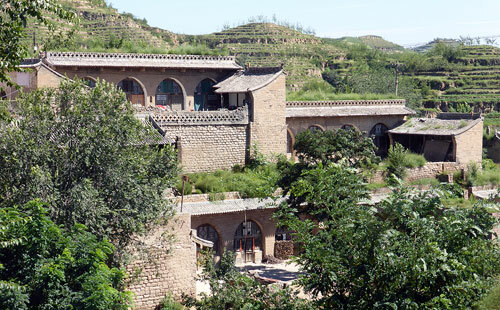 In Lijiashan, there are 8 types of residences, ranging from luxurious Qing dynasty houses to earth cave dwellings. For the moment, locals in Liajiashan don’t seem to mind visitors popping into their houses and nosing around. As yet, there’s no entrance ticket to the village. 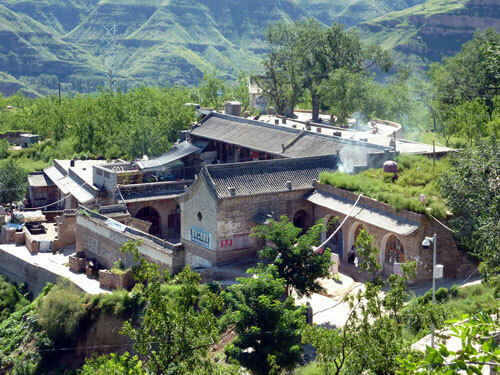 Even closer to Qikou is Xiwan village 西湾村, which also has cave dwellings and a number of ancestral halls. 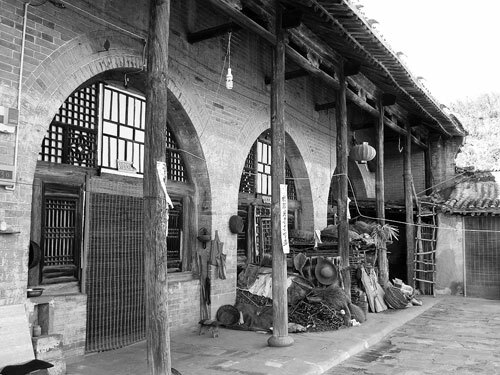 In Lijiashan 李家山 nearly all families have the surname Li 李, where as in Xiwan nearly all villagers have the surname Chen 陈, after the village’s founder, Chen Shifan. 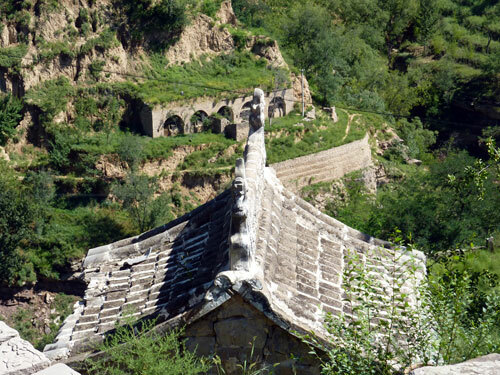 Xiwan village is on the banks of the Qiushui river, one kilometer from Qikou. You can stay the night in Lijiashan. We saw at least one simple cave guesthouse with dormitory-style bedrooms set around a central courtyard with basic washing facilities. Locals can also offer cave rooms for rent and will cook economical meals for their guests. Moreover, there are a couple of small shops selling water, soft drinks and cold beer. 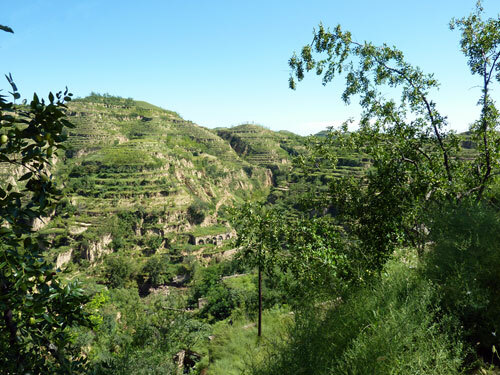 There are two ways to get to Lijiashan from Qikou: you can either walk, which will take about an hour, or hire a car. Walking is a good option, but bring plenty of water and an umbrella to keep off the sun and set out early.